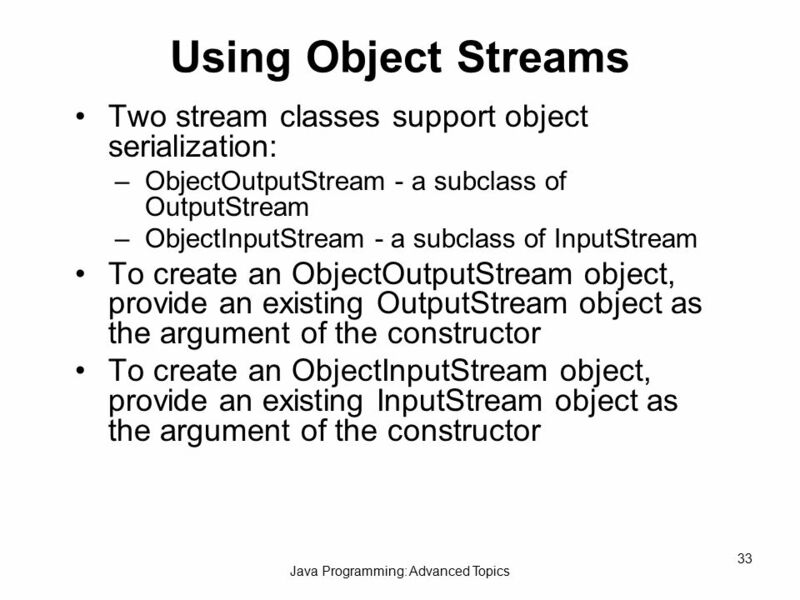 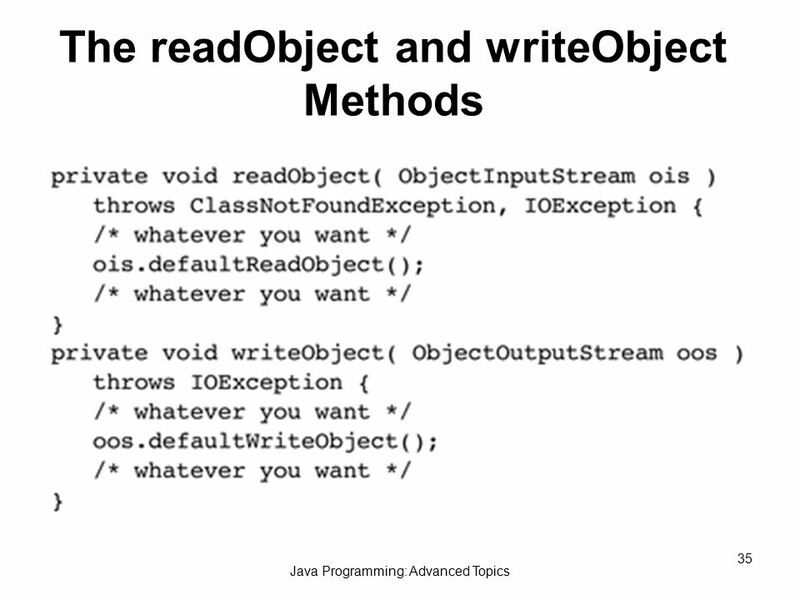 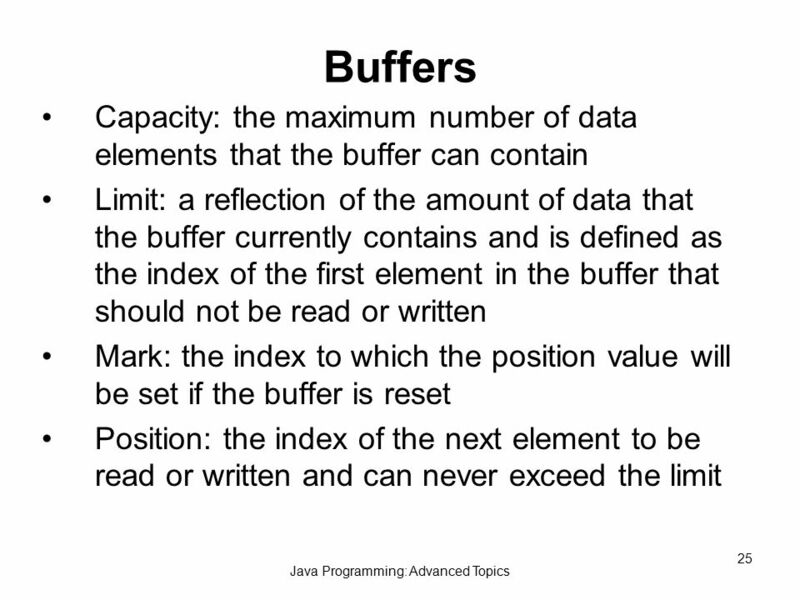 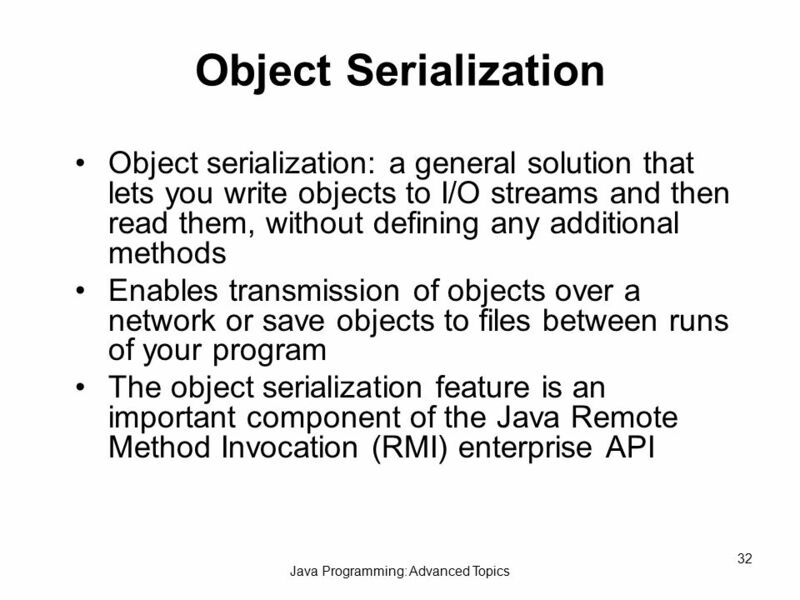 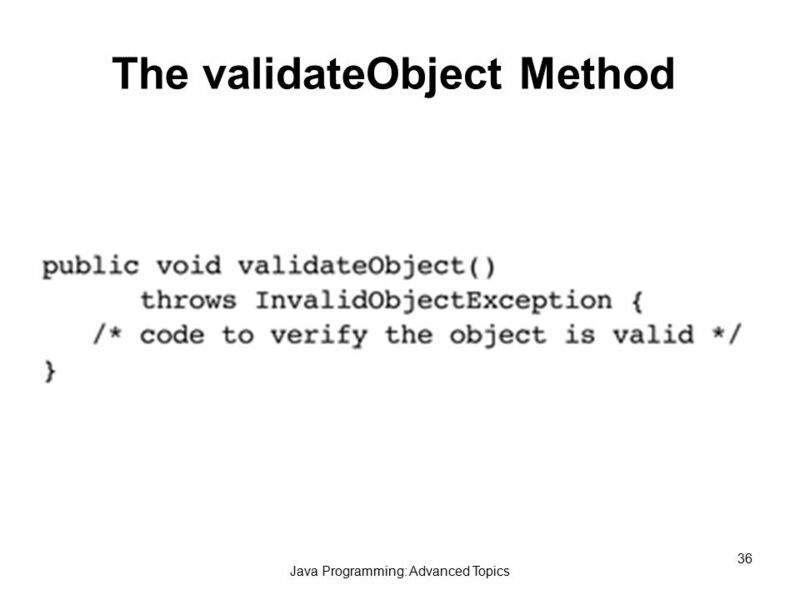 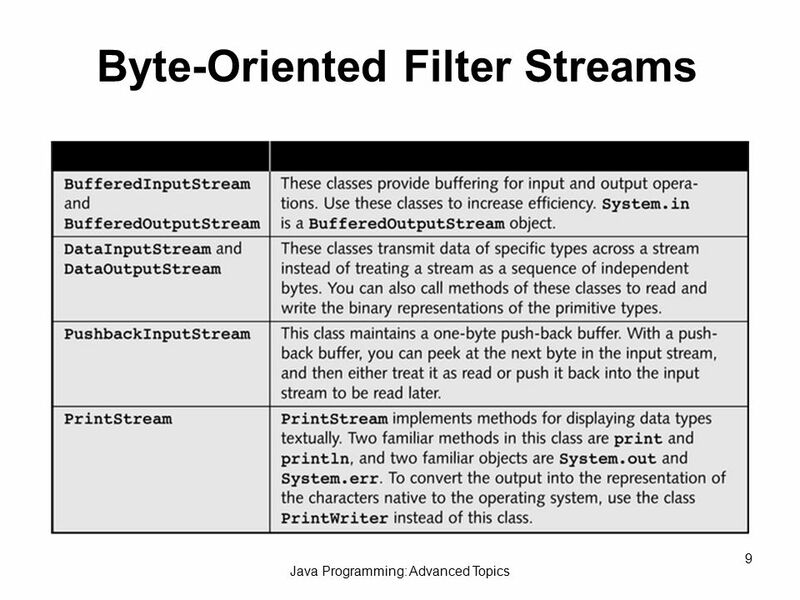 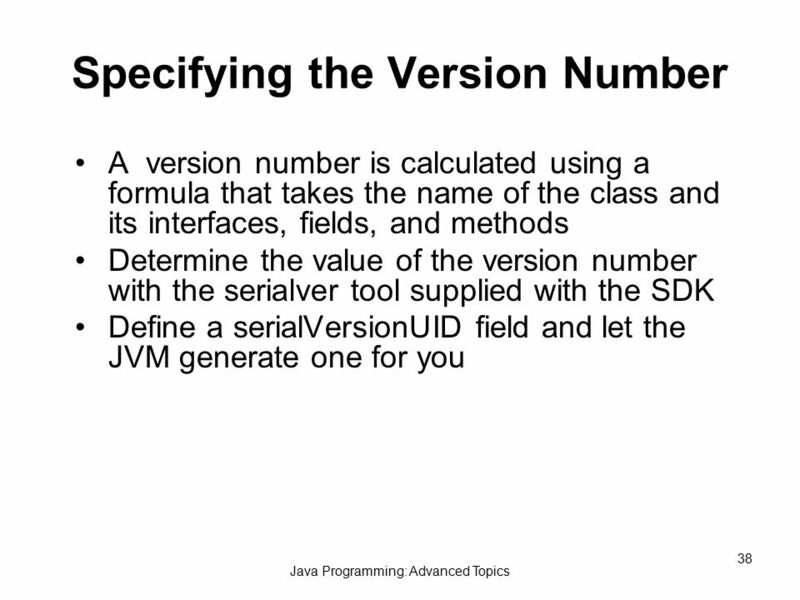 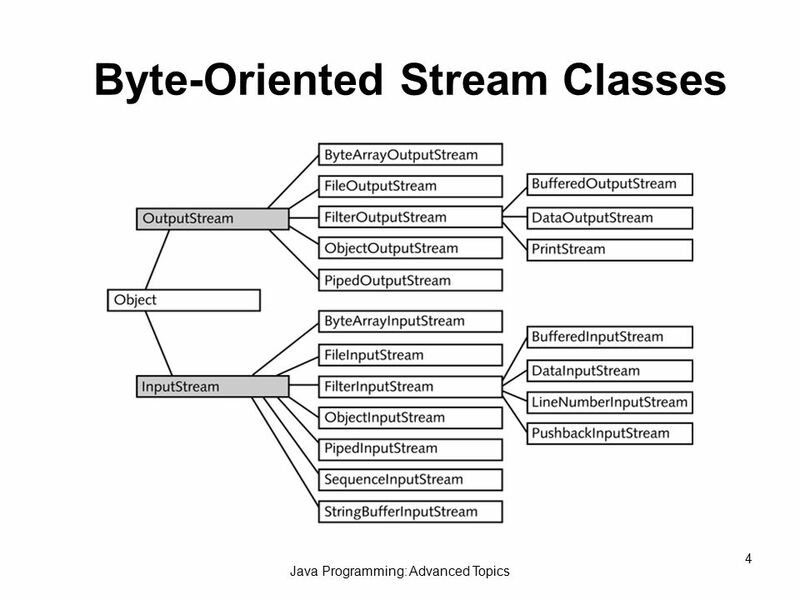 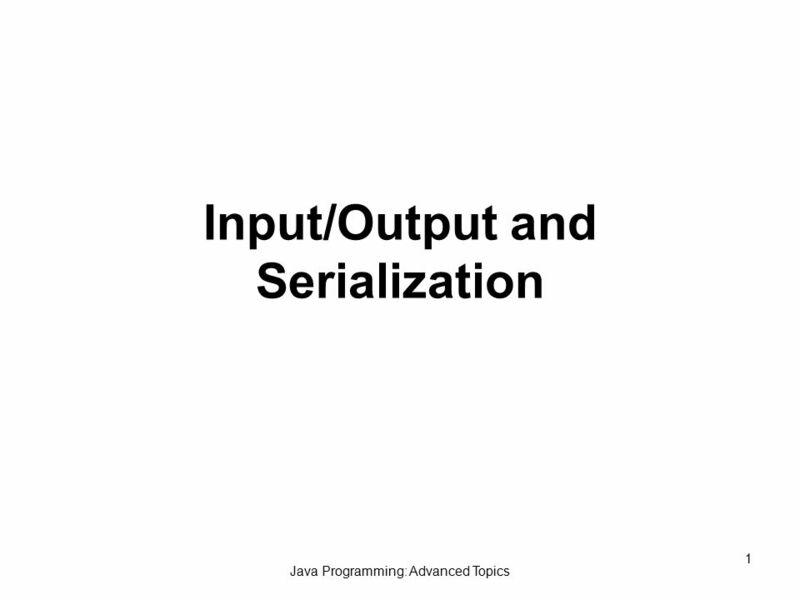 Java Programming: Advanced Topics 1 Input/Output and Serialization. 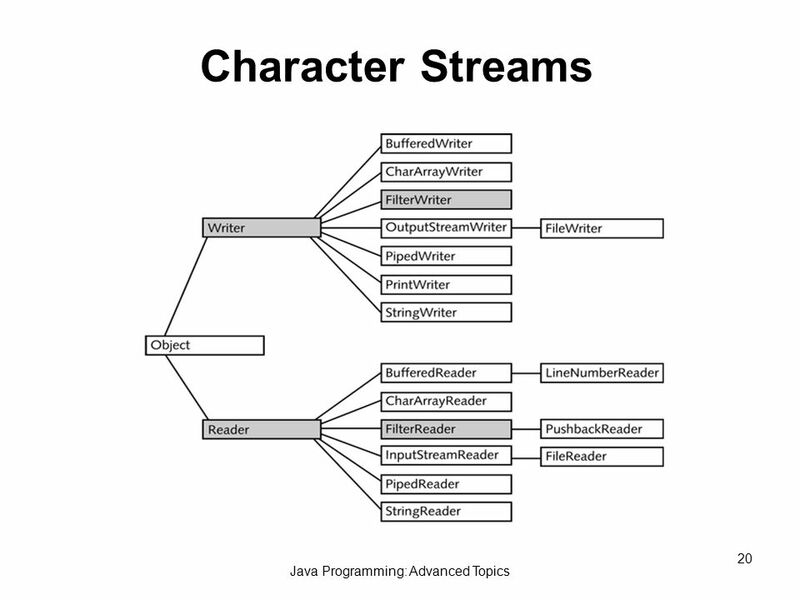 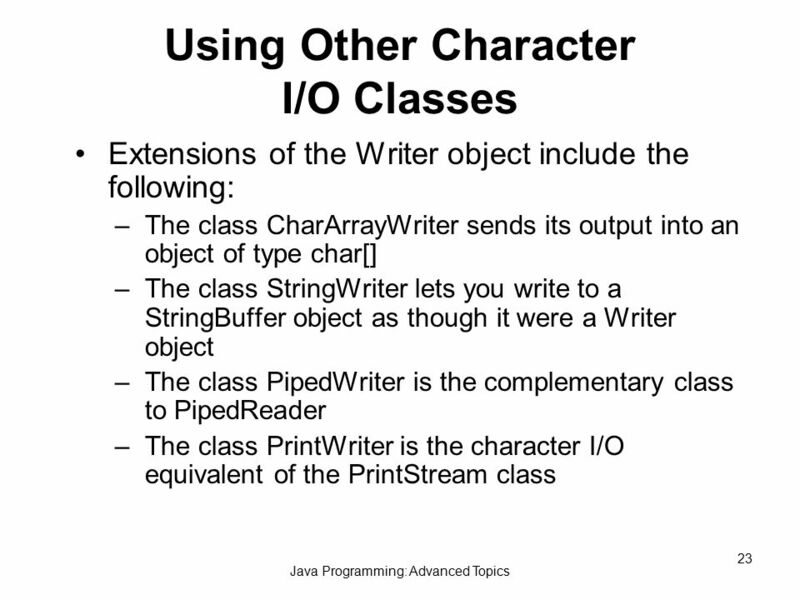 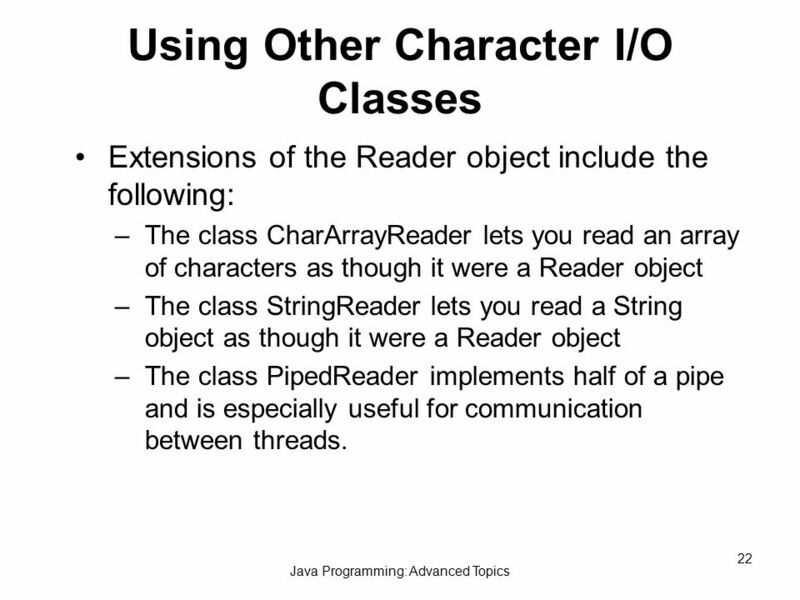 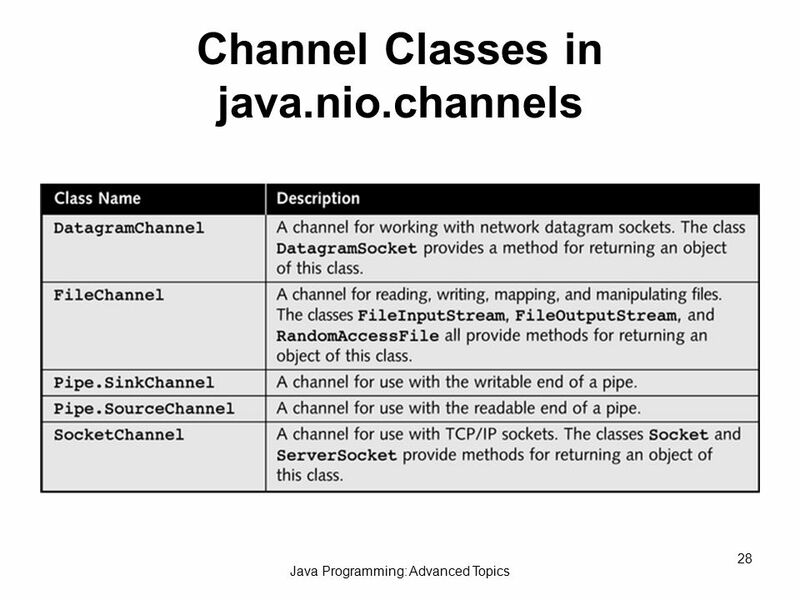 22 Java Programming: Advanced Topics 22 Using Other Character I/O Classes Extensions of the Reader object include the following: –The class CharArrayReader lets you read an array of characters as though it were a Reader object –The class StringReader lets you read a String object as though it were a Reader object –The class PipedReader implements half of a pipe and is especially useful for communication between threads. 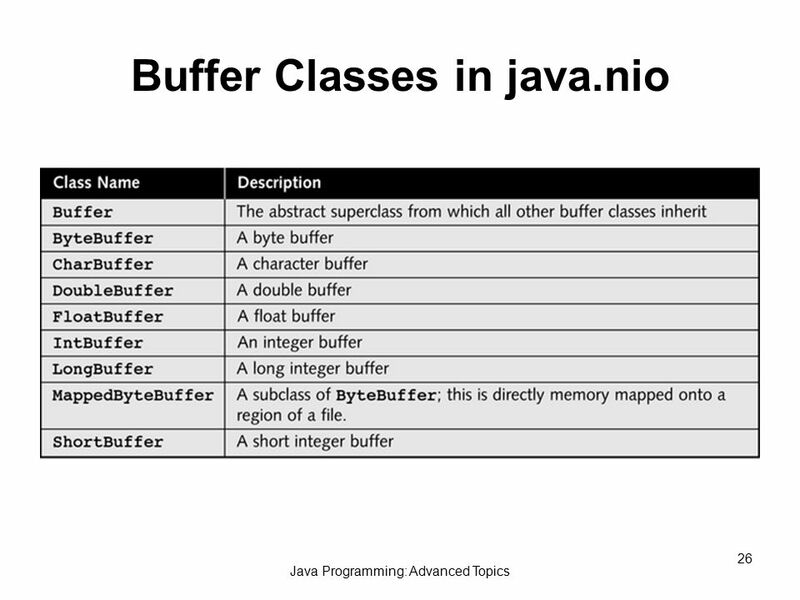 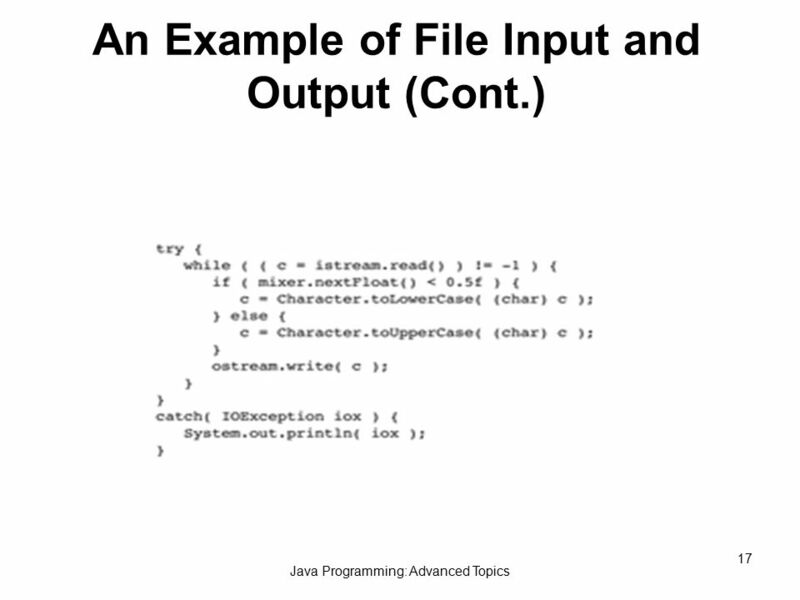 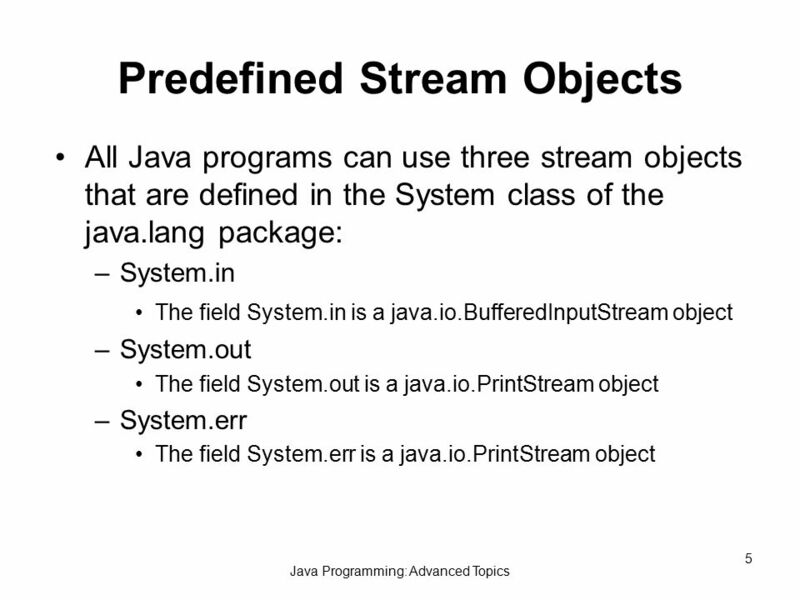 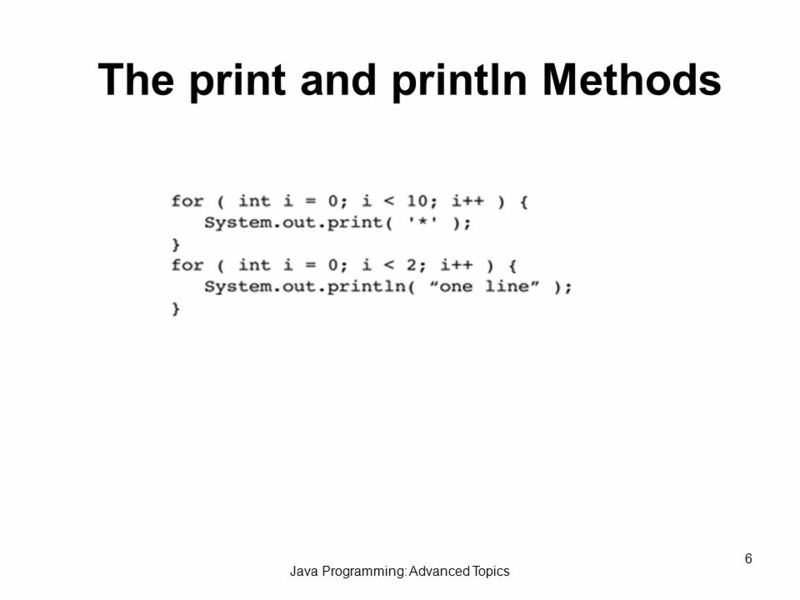 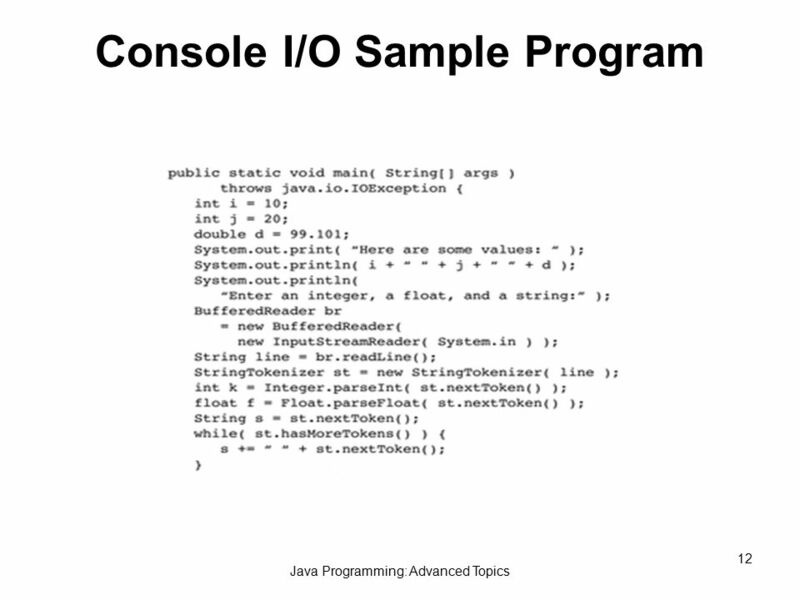 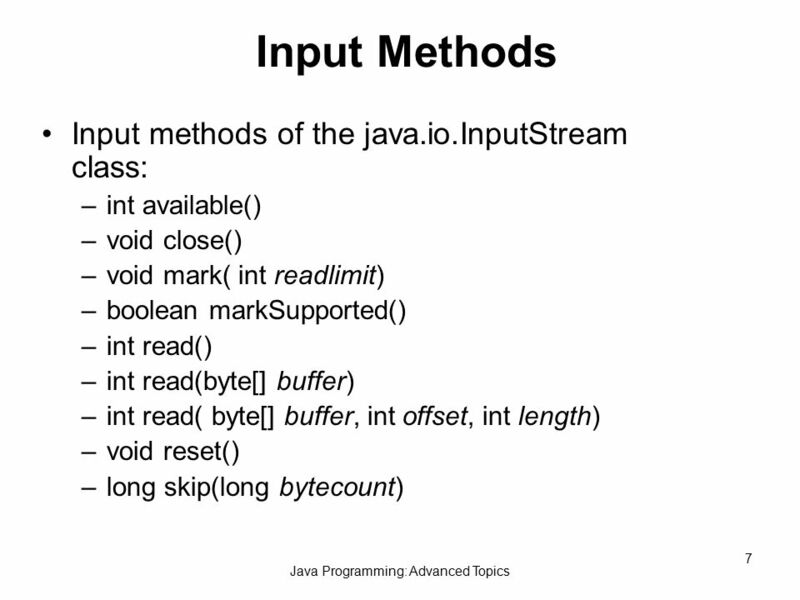 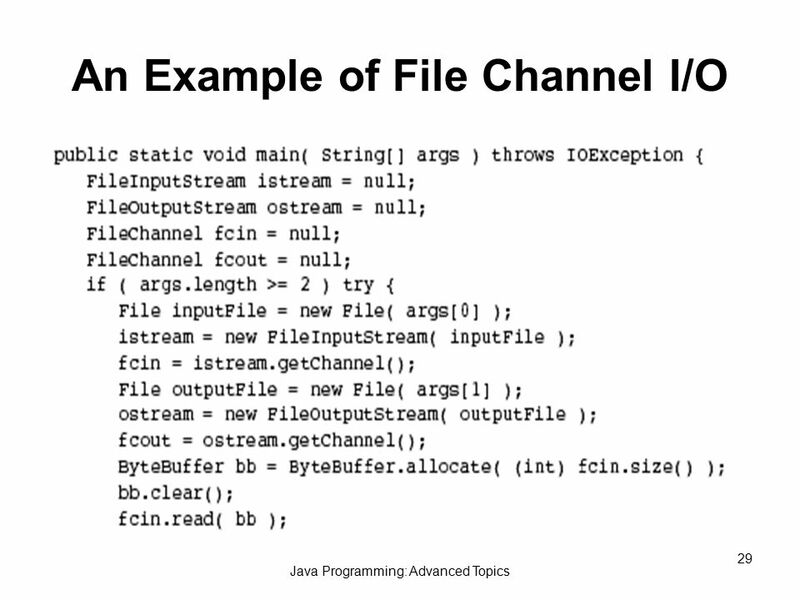 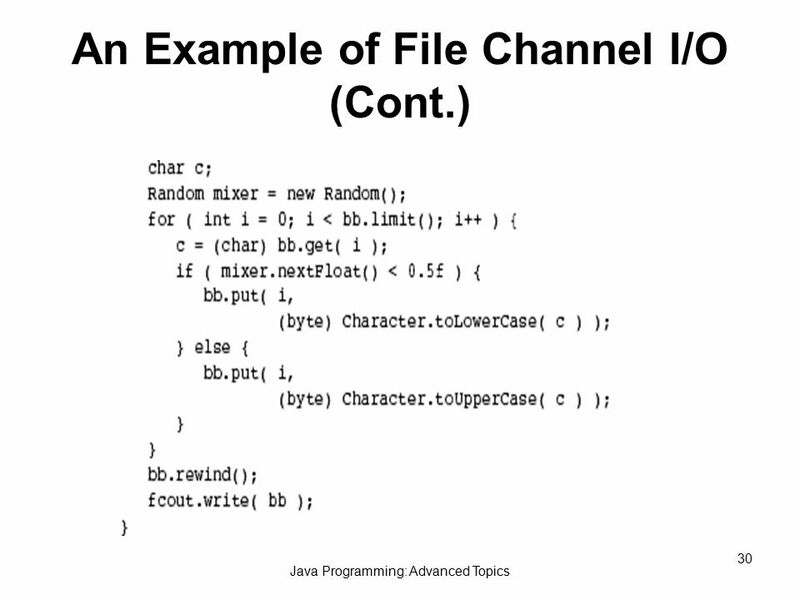 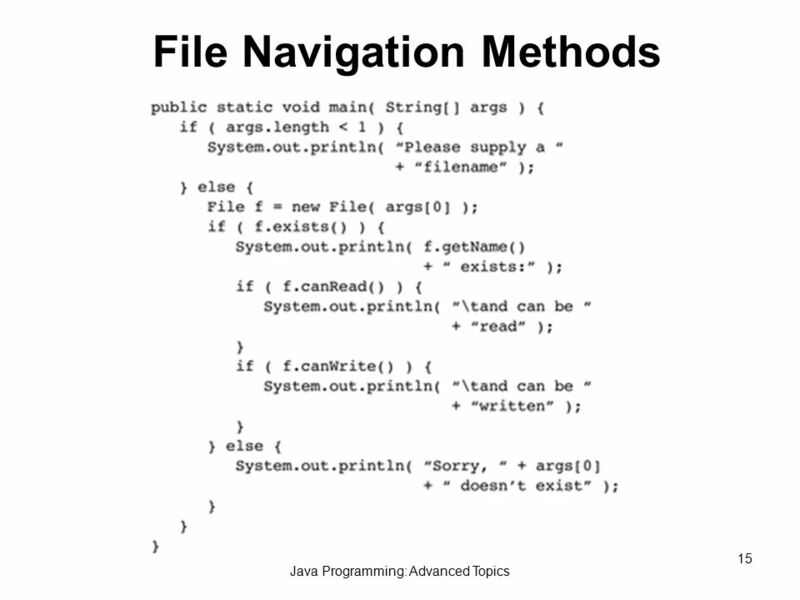 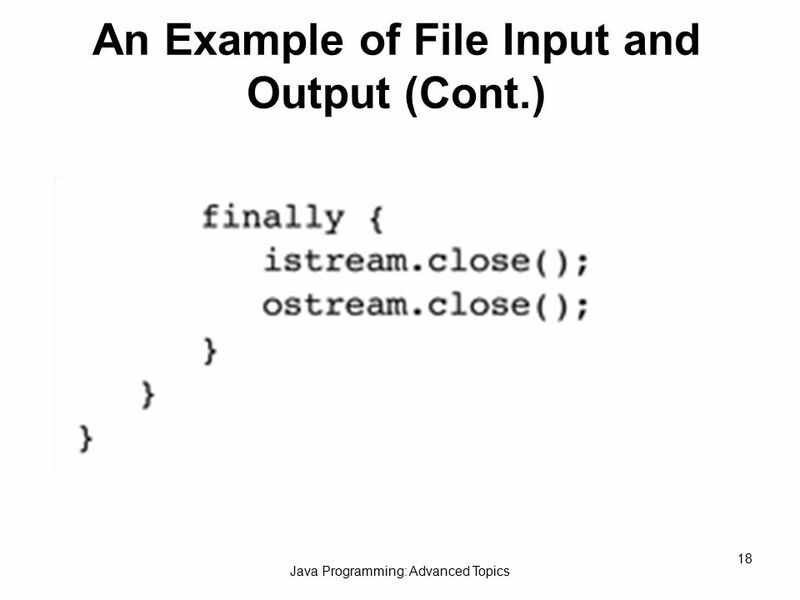 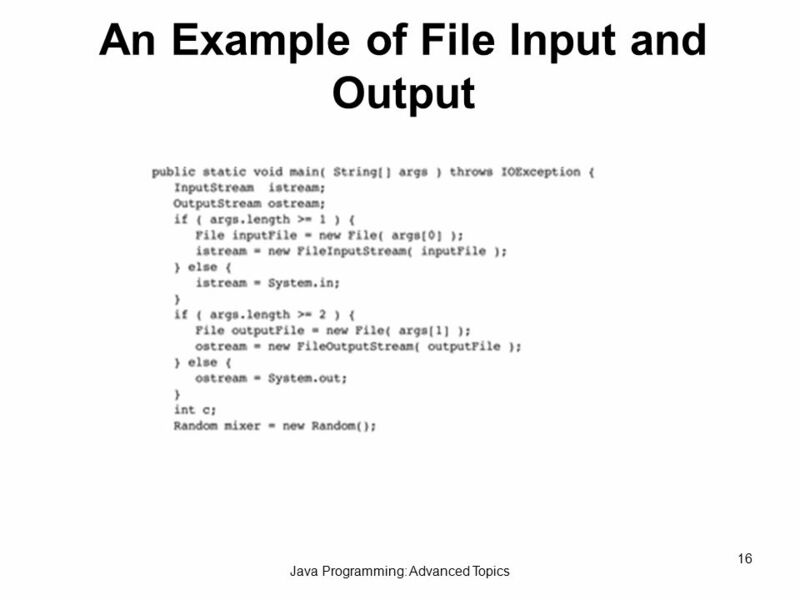 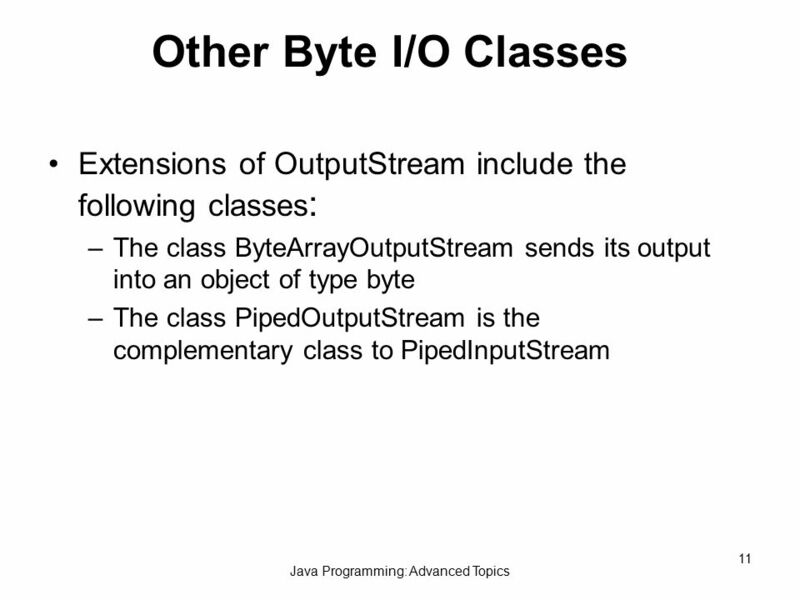 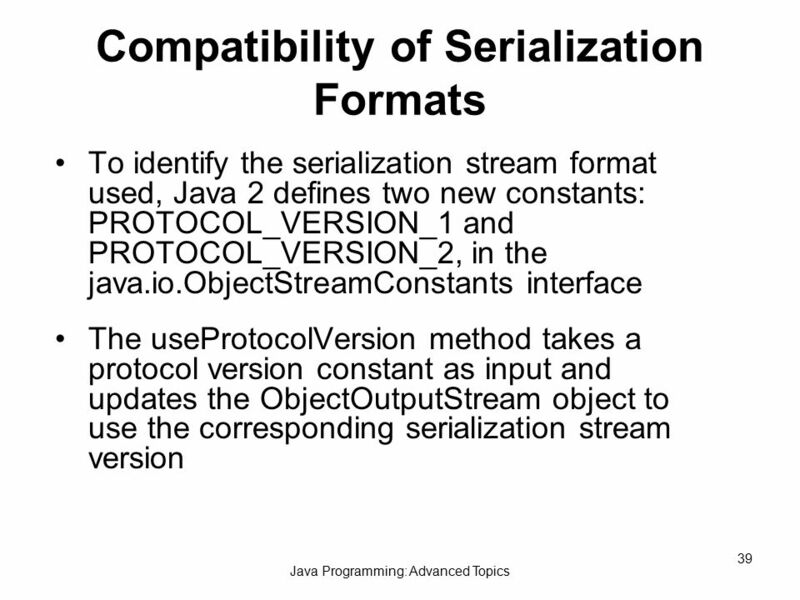 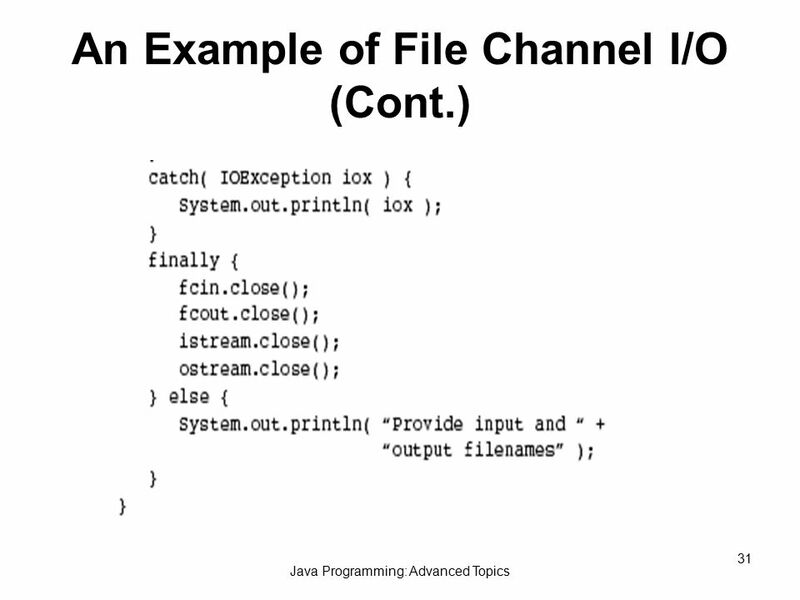 Download ppt "Java Programming: Advanced Topics 1 Input/Output and Serialization." 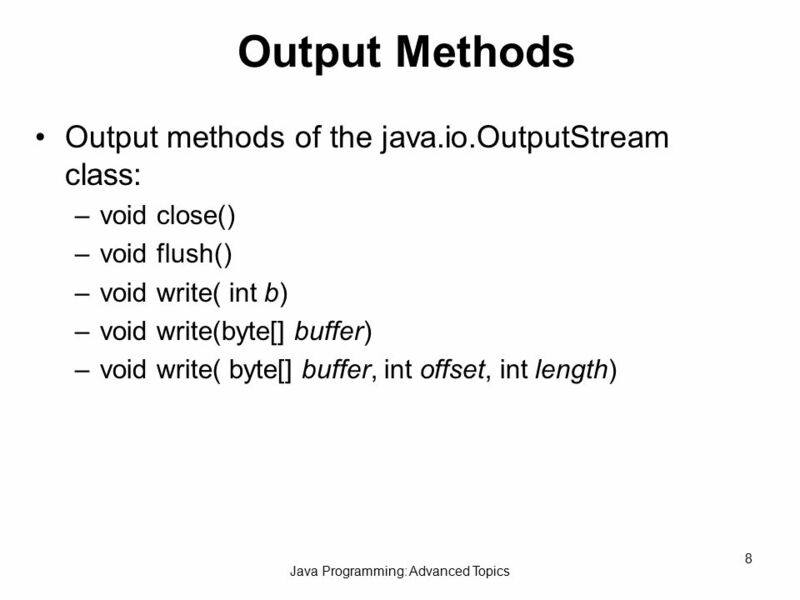 Standard input, output and error. 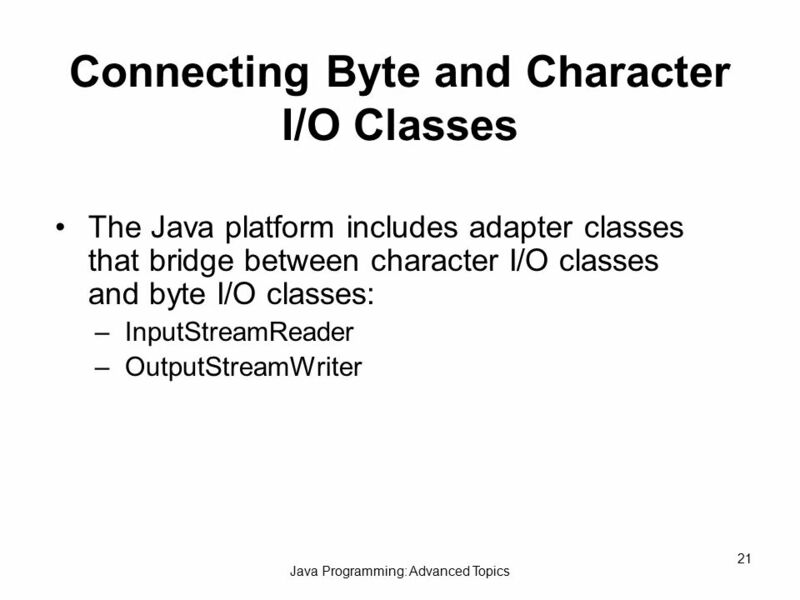 Lecture Under Construction. 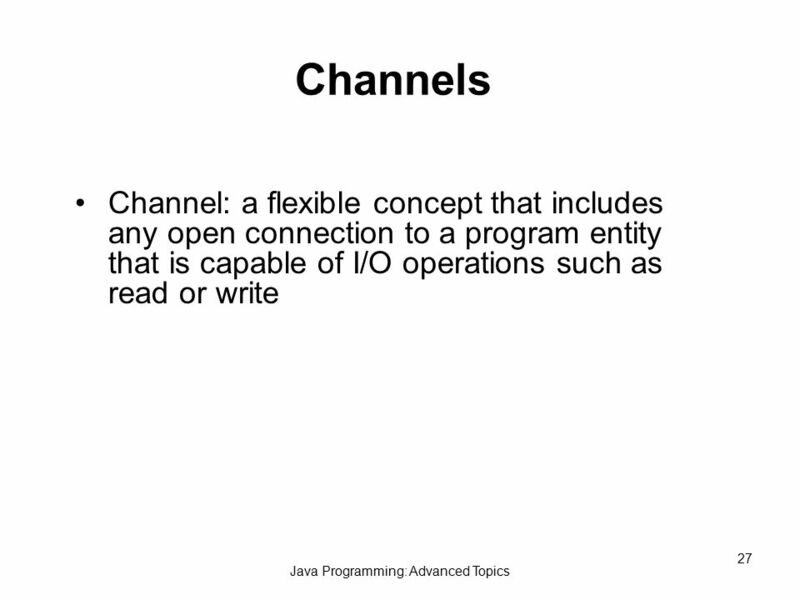 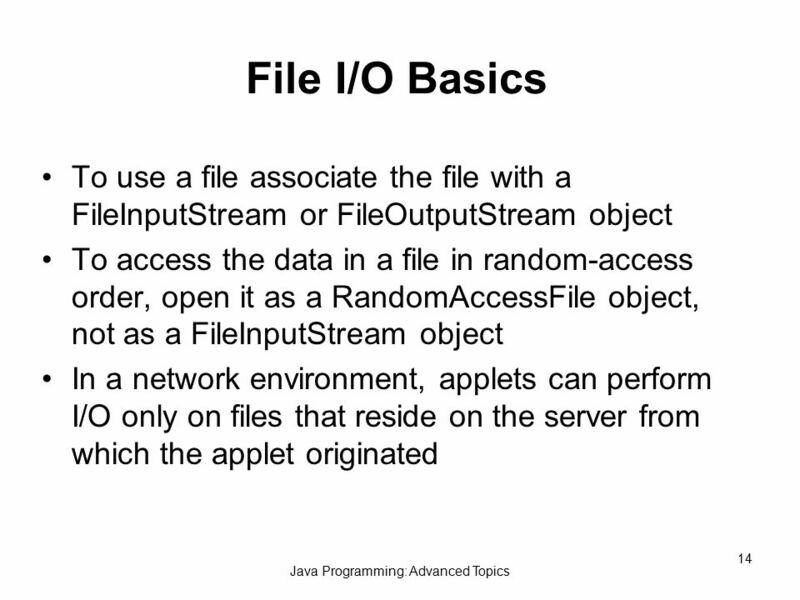 Streams and Files The objectives of this chapter are: To understand the principles of I/O streams and where to use them To understand the options and limitations. 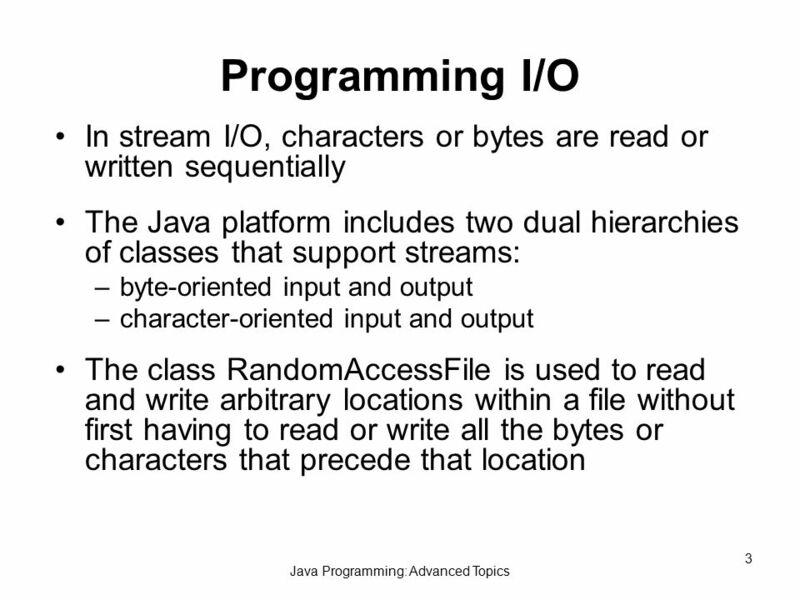 Liang, Introduction to Java Programming, Sixth Edition, (c) 2007 Pearson Education, Inc. All rights reserved L08 (Chapter 18) Binary I/O. 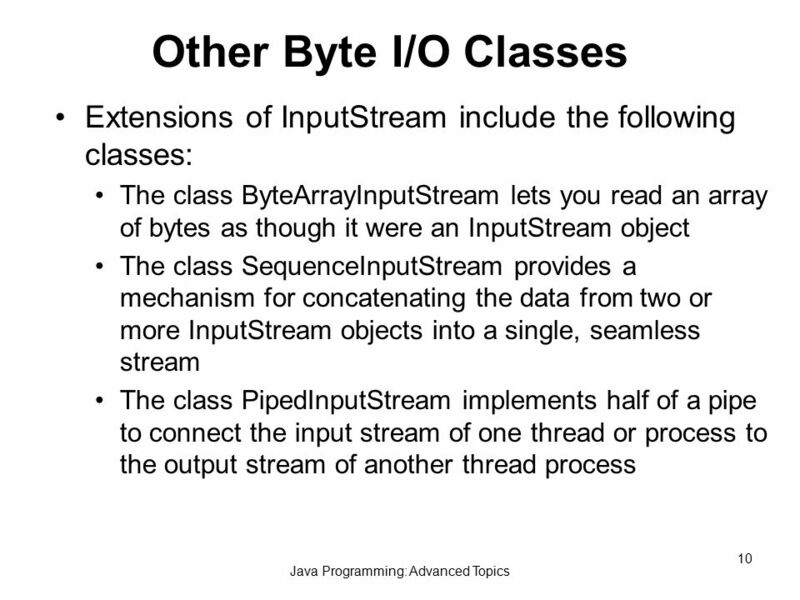 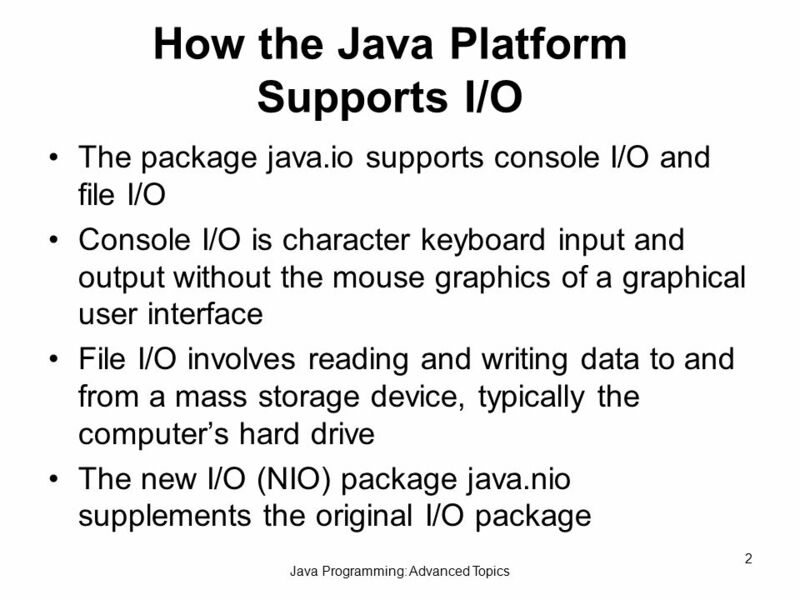 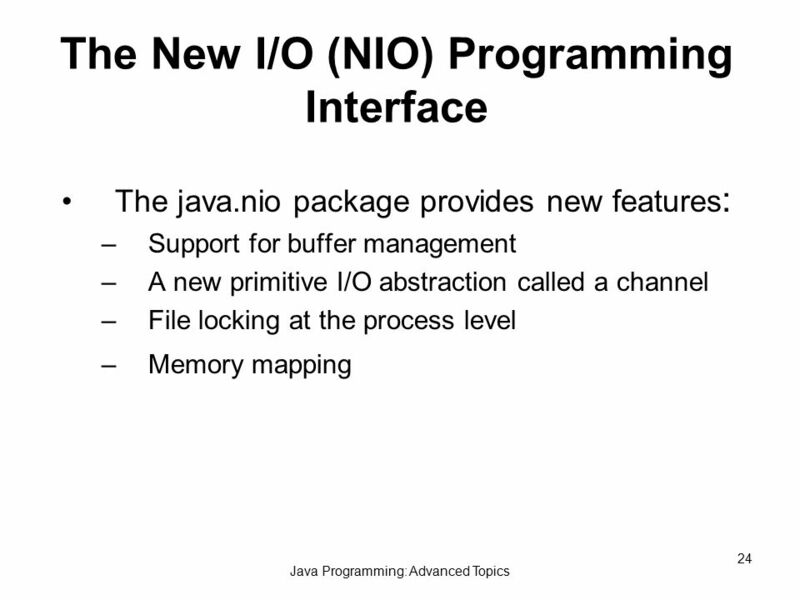 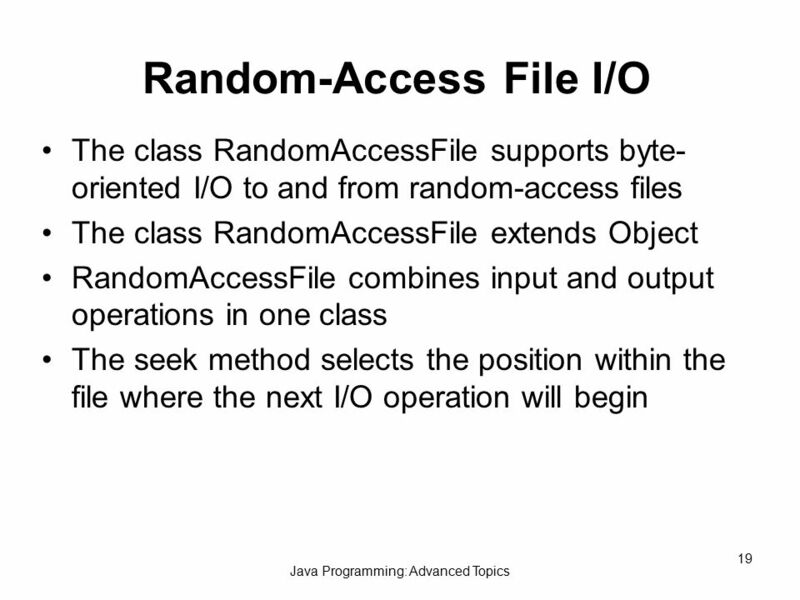 Io package as Java’s basic I/O system continue’d. 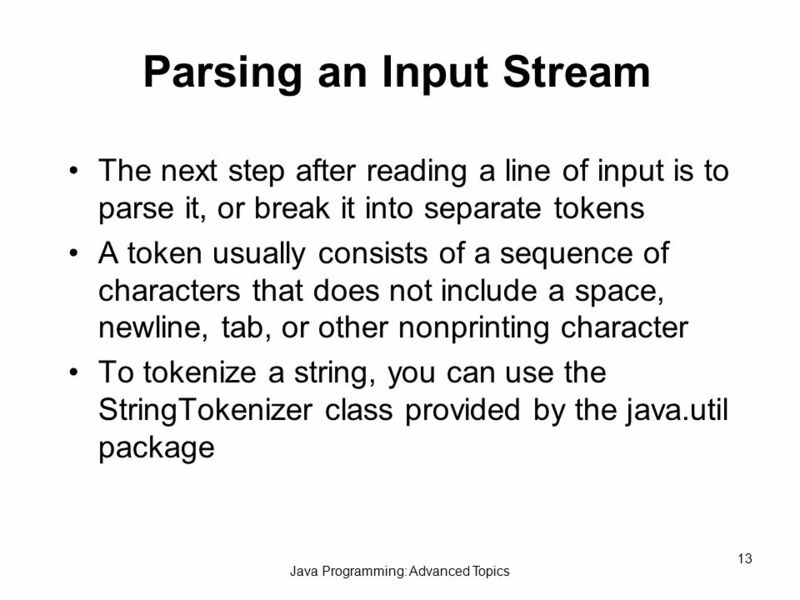 Outline  Basic IO  File class  The Stream Zoo  Serialization  Regular Expressions.